Description: Poppy is a funky Jandey style featuring a semi transparent pink stray with white Jandeys logo. 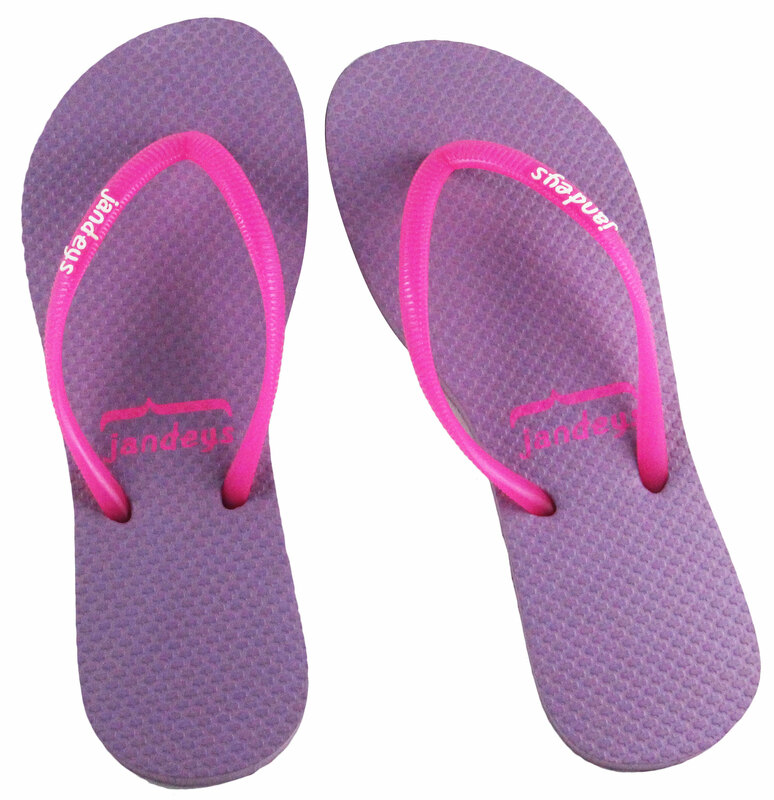 The sole is complimentary in sweet lavender. Stand out from the crowd with a pair of Poppy.